Bold looks with vintage tube sounds. Play shimmering cleans or crank up the overdrive, all using two quality Ruby valves for high fidelity tone. 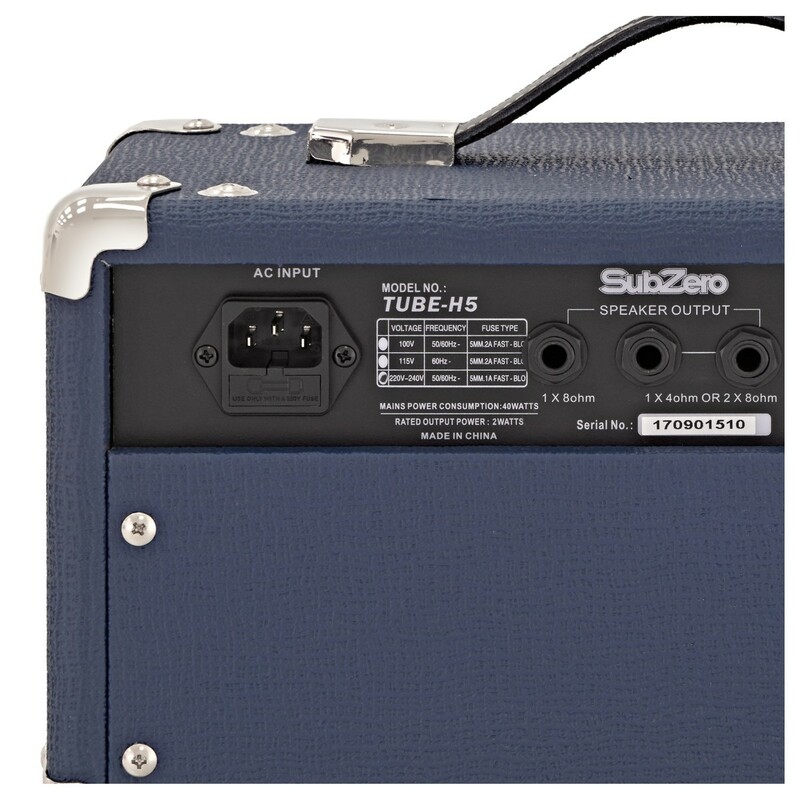 Combining the SubZero Tube-H5 Amp Head and two SubZero G110 cabs, achieve an impressive tone with focused detail. 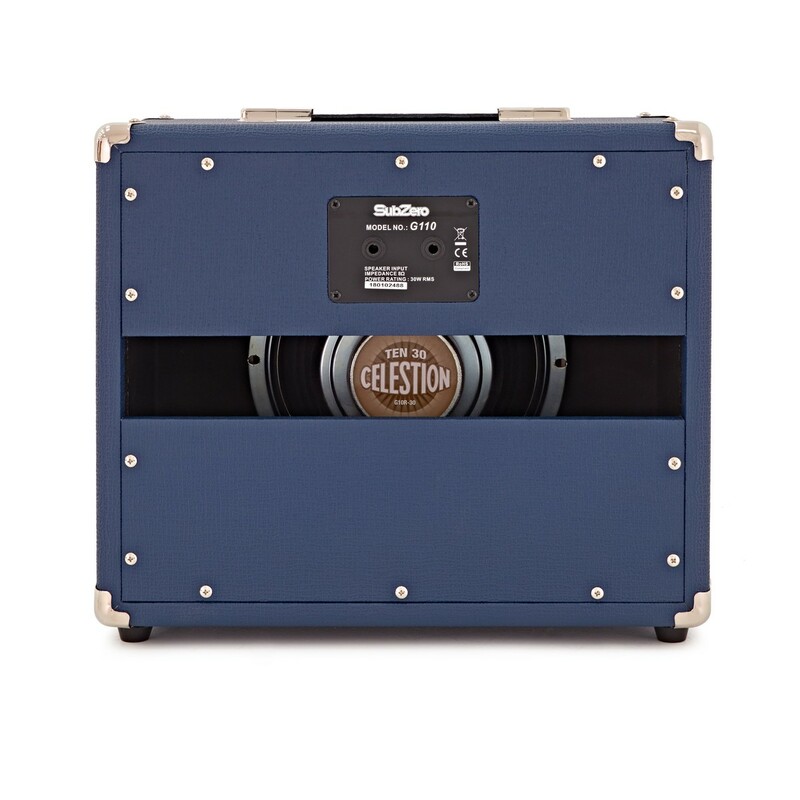 The 10" Celestion Tube speakers provide a powerful sound, matched in looks by a blue Tolex casing and vintage-look grill cloth. 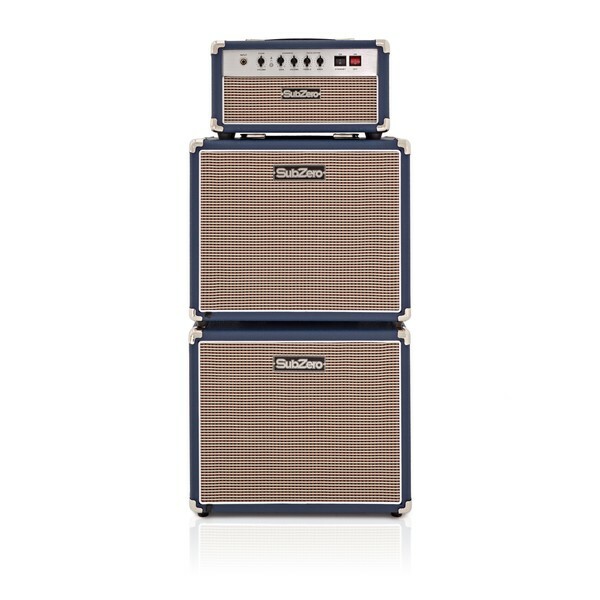 With a robust construction that's ideal for life on the road, stand out on stage with this guitar amp stack. Two quality valves for that vintage sound. The SubZero Tube-H5 owes its characteristics to the Ruby 12AX7 (in the preamp) and Ruby EL84 (for output) valves. Drawing upon decades of electronic development, these tubes ensure a warm, full-bodied sound without compromising on reliability. The Tube-H5 amp head has two channels – clean and overdrive – to produce great rock and blues tones. The clean channel produces very sweet, shimmering sounds with plenty of headroom. 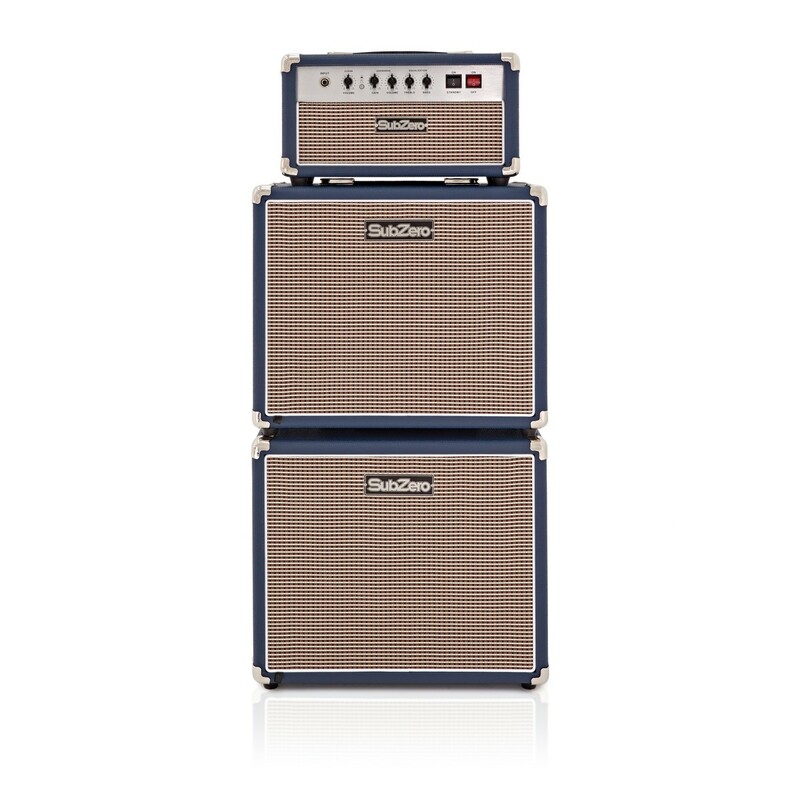 It's an ideal retro tone and great for home practice sessions. Instantly transform your guitar into gritty blues-infused tones by pressing the drive switch. A rich, classic-rock sound, you can adjust the channel's gain to increase the crunch to your taste and push your sound to the limit. Each channel also has its own volume control for further refinement. Further customise your sound with the amp's 2-band equalizer. The two dials allow you to adjust both bass and treble, so you can enhance your amp's bottom and top end to taste. 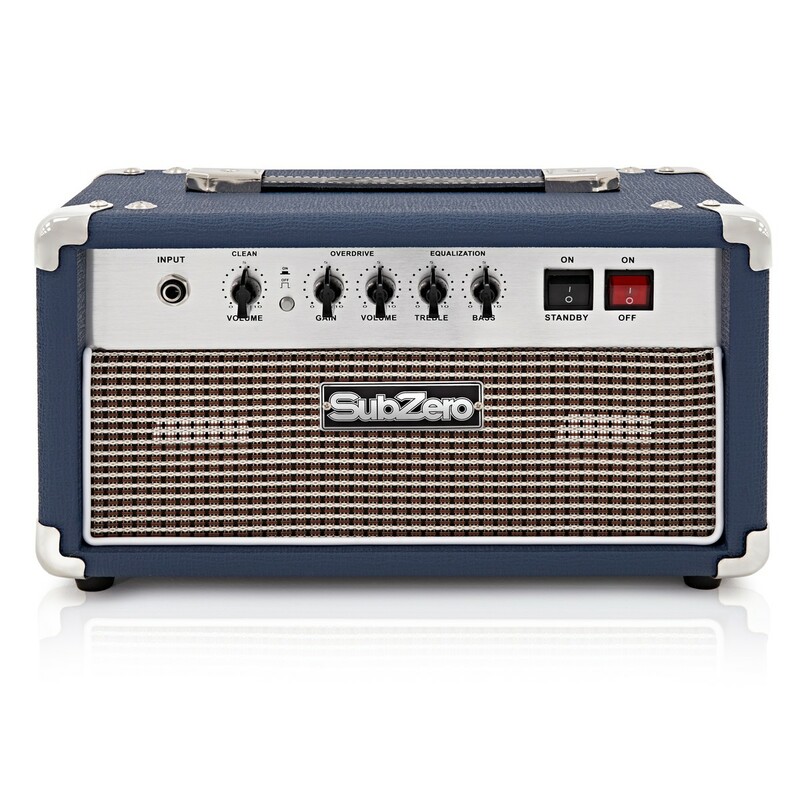 The Tube-H5 Amp Head also includes a standby mode to help prolong its life and sound quality. Use it to protect your valves from any high-powered signals while they warm up, preventing any damage. 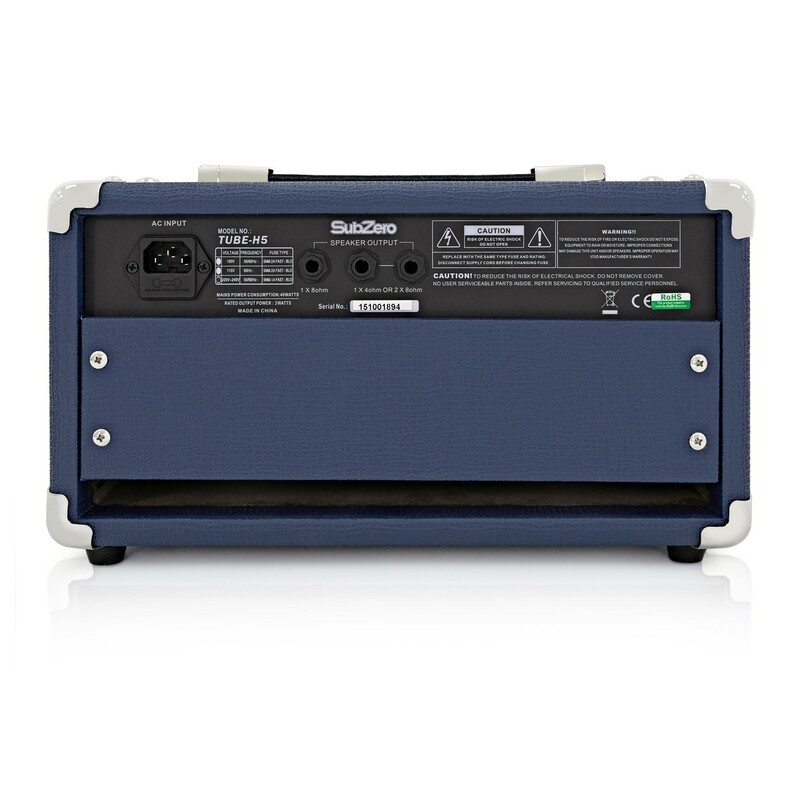 It's also a convenient setting to mute your amp during a show's interval – set it to standby and you'll be able to start playing again as soon as you get back on the stage. A sleek vintage-look casing to match your classic sound. 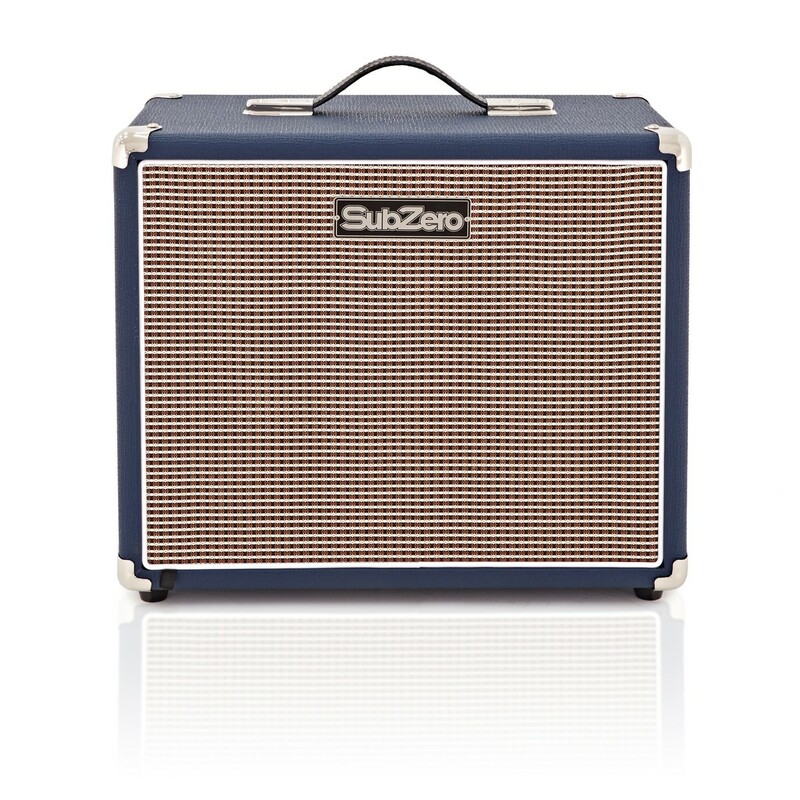 The Tube-H5 features a blue Tolex finish and retro grey grille cloth for a durable finish that looks great. The lightweight and compact construction makes transporting and setting up both easy and convenient, while remaining tough enough for the guitarist on the move. 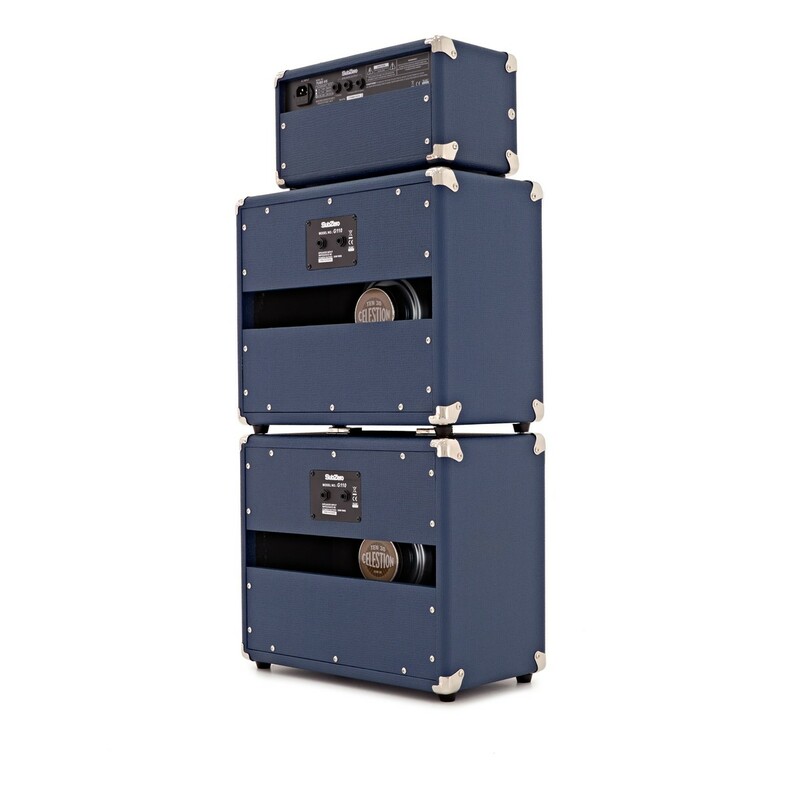 For a great sound, two 10" SubZero G110 cabinets are included in this mini stack. 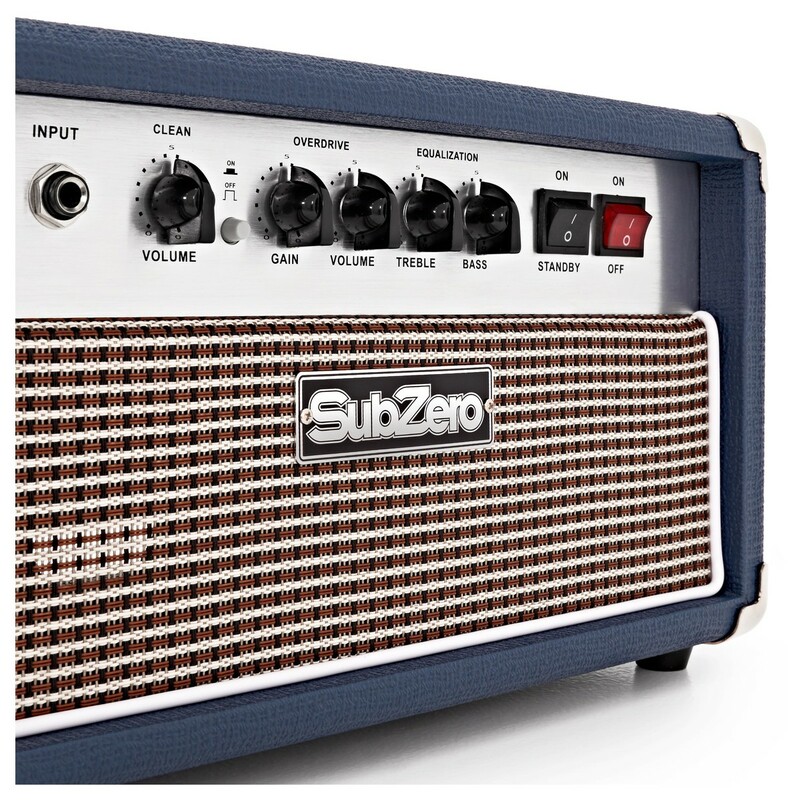 Equipped with a 10" Celestion Tube speaker, they each provide a punchy response and up to 30W RMS of powerful tone. A lightweight construction ensures that the two cabs are easy to load into vehicles. They also include corner protectors and a rugged finish to handle any bumps and scrapes on the road.